The Queensland U19 Women State Championships will be held in CAIRNS on 05-07 October 2018. Player and Official Nomination Forms are due on Monday 02 April 2018. 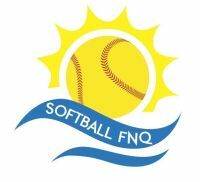 The nomination form is available on the Document Links page on the Softball FNQ website and is also below. The trials will be held on Saturday 14 April 2018 at the Walker Road Softball Grounds, Walker Road, Edmonton. This date is to be confirmed.